How we harness and utilise the digital world is the problem that all of the big consumer electronics manufacturers are trying to address and Apple are currently seen as the main industry pioneers. Anyone who has ever used an iPhone will be aware that their fluidity, speed and intuitive interfaces are far better than all others, although some users of the Samsung Galaxy range may disagree. In the past, every time a new Apple product was launched, the Apple devotees would gather in queues outside the Apple store to be the first to experience the new innovation. Now this frenzy for new products has spread to a much broader public and this year looks set to be a big year for Apple. The iPad Mini is rumoured to be announced this autumn even though the late Steve Jobs may have seemed initially reluctant to produce a small scale tablet. It would seem that Apple need to compete with likes of the Google Nexus and the Galaxy Note. The iPad Mini could end up sharing a lot of common ground with the 2012’s new larger iPod touch so we’ll see if the two markets will combine into one product or indeed diverge into two. The iPad Mini could end up being announced at the same time as the iPhone 5 – September the 12th. Many followers speculated that the iPhone 5 wouldn’t be released until October but with the Samsung Galaxy 3 gaining market share, the next generation iPhone may have been brought forward a tad. Mobile phone sales have actually decreased in the last quarter due to people waiting for the fabled iPhone 5 to be released. Apple’s reputation for innovation is so strong that it becomes a big market force even when no new products are available. The iPad 3 has just been launched to great acclaim, but the as yet unreleased 2012 iPod Touch, iPhone 5 and iPad Mini are all subject to keen speculation and much conjecture which Apple seem not to mind. 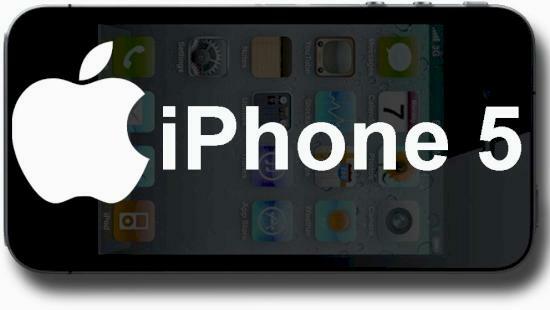 The iPhone 5 is the biggest draw of all of the above and will showcase much of Apples new technologies. May that be anything else launching along, the main focus would be on the next phone which would be under many scanners, especially from the competitor companies which would be hoping to see just the common features and nothing real big, as Apple’s lone launch every year makes it to the list of highest sold devices all the time. The Apple iPhone 4S was the latest best from Apple, and they had not brought much of a change from the previous version, i.e. the iPhone 4, and thus the consumers are keen to see a lot of advancements in the devices that are going to be launched today at the Apple event. The craze of the iPhone 4S launch was such that there were 4 million sales made by Apple in just a weekend after the launch of the phone last year. Update: Apple has just launched the newer version of the iPhone, i.e. the Apple iPhone 5 and along with that, the Apple iPod Nano and Touch newer versions. Going against the rumors, Apple stuck to only the handheld devices, and didn’t do any changes in the Apple TV or the iPad.